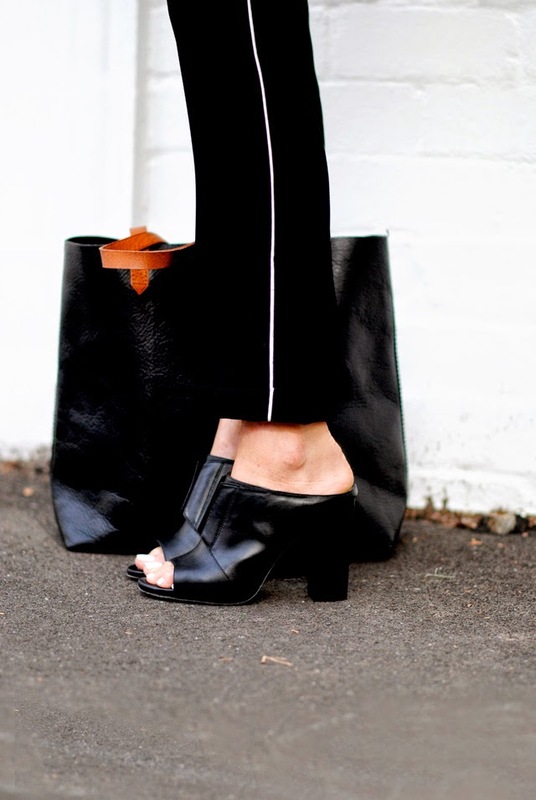 Think mules and think nineties. Only don’t. Just because they were Carrie Bradshaw’s favourite shoes, in which she naturally looked fabulous, and were beloved by Buffy and a host of other stars of the time, please don’t confine mules to the scrap heap of fashion faux pas. They’ve returned this season in whatever style or form your heart desires. Pointed toes, wedges, heels, platforms and flats are moulded in plastic, leather or fabric. They come adorned with stones, studs and even pom poms, and appear patterned, plain, cut out or metallic, in every shade of a painter’s palette (and beyond). Slim legs and chunky don’t always gel, so if you don’t want to risk being mistaken for Popeye’s girlfriend, there are plenty of more elegant manifestations. They skimmed runways for Chloé, Alexander Wang, Céline (check out the triangle heels! ), Altuzarra, Kenzo, and mule maestro Gianvito Rossi. Monique Lhulier was defined by PVC, while Christian Louboutin prettified with beads. Stella McCartney’s creation actually looks as if the shoe has a back, but has been worn with it turned down. As if any of you would be so disrespectful to your footwear! In New York, Victoria Beckham went for a slim look in keeping with her sportif collection. At Nonoo, Manolo Blahnik produced demi-heeled delights, while flat mules surfaced at Helmut Lang. We so admire their versatility – there’s a mule for every outfit. Slip on platforms with skinnies (especially patterned ones), while cropped trousers are part of a dream team. 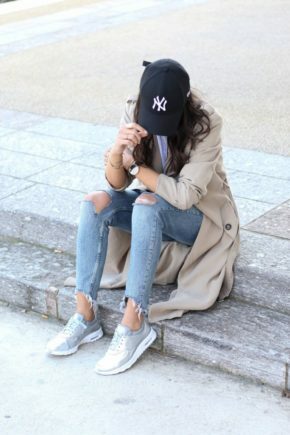 Cuffed jeans and a fitted jacket top heels for a smart take on the trend. The contrast with chiffon works really well, as Carrie showed us so many times. Pair with a midi, or finish off a dress with the canvas variety. Tone down the colour in your clothes if your footwear is doing all the showing off with its bold, vibrant prints. We’ve heard it advised that open-toed mules demand a boot-like finish to the rest of the foot, but we think that’s up to you! Just made for summer, they can’t wait to accessorise your cut off shorts, and your distressed denim. Partly due to the variety of style and colour, pleats, florals, and animal prints all work, so mules can join 2014 without a hint of nostalgia. 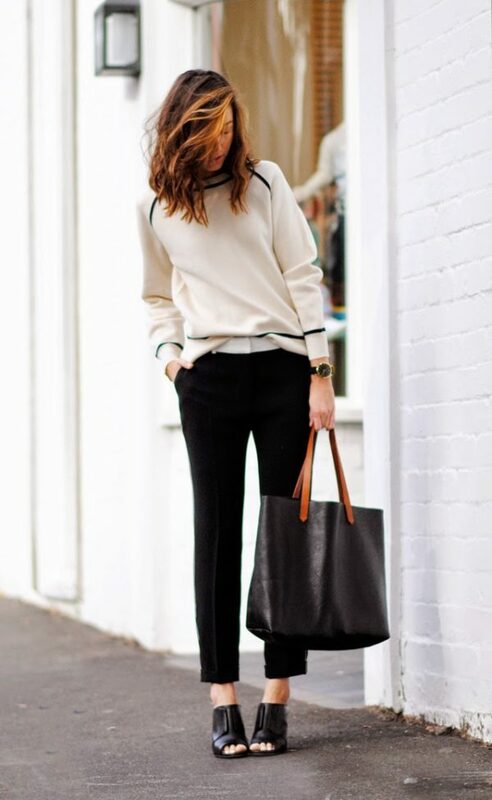 Team with an oversize or bucket bag, or go the other way with a clutch if you’re wearing backless stilettos. Add a snakeskin cuff and you’re ready to catch the mule train! Julie Sarinana Is Wearing Black Mules From 3.1 Philip Lim, A Black Shirt From Madewell, Leather Skinnies From J. Brand And The Bag Is From Proenza Schouler. The second photo is of said Mules.